2. O how honourable is a beast of God’s making, compared to one who makes himself a beast! But that is not all. You make yourself a devil. You stir up all the devilish tempers that are in you, and gain others, which perhaps were not in you; at least you heighten and increase them. You cause the fire of anger, or malice, or lust, to burn seven times hotter than before. At the same time you grieve the Spirit of God, till you drive him quite from you; and whatever spark of good remained in your soul you drown and quench at once. 3. So you are now just fit for every work of the devil, having cast off all that is good or virtuous, and filled your heart with every thing that is bad, that is earthly, sensual, devilish. You have forced the Spirit of God to depart from you; for you would take none of his reproof; and you have given yourself up into the hands of the devil, to be led blindfold by him at his will. 4. Now, what should hinder the same thing from befalling you, which befell him who was asked, which was the greatest sin, adultery, drunkenness, or murder; and which of the three he had rather commit. He said drunkenness was the least. Soon after, he got drunk; then he met another man’s wife, and ravished her. The husband coming to help her, he murdered him. So drunkenness, adultery, and murder went together. 5. I have heard a story of a poor wild Indian, far wiser than either him or you. The English gave him a cask of strong liquor. The next morning he called his friends together, and setting it in the midst of them, said, “These white man have given us poison. This man (calling him by his name) “was a wise man, and would hurt none but his enemies; but as soon as he had drunk of this, he was mad, and would have killed his own brother. We will not be poisoned.” He then broke the cask, and poured the liquor upon the sand. 6. On what motive do you thus poison yourself? Only for the pleasure of doing it? What! Will you make yourself a beast, or rather a devil? Will you run the hazard of committing all manner of villanies; and this only for the poor pleasure of a few moments, while the poison is running down your throat? O never call yourself a Christian! Never call yourself a man! You are sunk beneath the greater part of the beasts that perish. 7. Do you not rather drink for the sake of company? Do you not do it to oblige your friends? “For company,” do you say? How is this? Will you take a dose of ratsbane for company? If twenty men were to do so before you, would you not desire to be excluded? How much more may you desire to be excluded from going to hell for company? But “to oblige your friends:” what manner of friends are they who would be obliged by your destroying yourself? who would suffer, nay, entice you to do so? They are villains. They are your worst enemies. They are just such friends, as a man that would smile in your face, and stab you to the heart. 8. O do not aim at any excuse! Say not, as many do, “I am no one’s enemy but my own.” If it were so, what a poor saying is this, “I give none but my own soul to the devil.” Alas! Is not that too much? Why shouldest thou give him thy own soul? Do it not. Rather give it to God. 9. Above all, you are an enemy to God, the great God of heaven and earth; to him who surrounds you on every side, and can just now send you quick into hell. Him you are continually affronting to his face. You are setting him at open defiance. O do not provoke him thus any more! Fear the great God! John Wesley, ‘Word to a Drunkard’. John Wesley, 1748, ‘A Plain Account of the People Called Methodists’. I am more and more convinced, that the devil himself desires nothing more than this, that the people of any place should be half awakened, and then left to themselves to fall asleep again. Therefore I determine, by the grace of God, not to strike one stroke in any place where I cannot follow the blow. John Wesley, 12-13 March 1743, Journal. John Wesley, 17 Feb. 1744*, Sermons, ‘On the Use of Money’, section 4. *[Medical use of these:] infinitely overbalanced by the abuse of them; therefore, were it in my power, I would banish them out of the world. John Wesley, 11 Dec. 1787, Letter to Thomas Wride. You see the wine when it sparkles in the cup [Prov. 23:31], and are going to drink of it. I tell you there is poison in it! and, therefore, beg you to throw it away. You answer, “The wine is harmless in itself.” I reply, Perhaps it is so; but still if it be mixed with what is not harmless, no one in his senses, if he knows it at least, unless he could separate the good from the bad, will once think of drinking it. If you add, “It is not poison to me, though it be to others;” then I say, Throw it away for thy brother’s sake, lest thou embolden him to drink also. Why should thy strength occasion thy weak brother to perish, for whom Christ died? [1 Cor. 8:11] Now let anyone judge which is the uncharitable person: He who pleads against the wine or the diversion, for his brother’s sake; or he who pleads against the life of his brother, for the sake of the wine or the diversions. All the doubt there can be is: “Is there poison in this diversion which is supposed to be harmless in itself?” To clear this up, let us, First, observe the notorious lying that is always joined with it; the various kinds of over-reaching and cheating; the horrid oaths and curses that constantly accompany it, wherewith the name of our Lord God, blessed for ever, is blasphemed. When or where was this diversion ever known without these dreadful consequences? Who was ever one day present at one of these entertainments, without being himself a witness to some of these? And surely these alone, had we no other ill consequences to charge upon this diversion, are enough, till a way is found to purge it from them, to make both God and all wise men to abhor it. John Wesley, 3 Sep. 1732*, Sermons, ‘On Public Diversions’. John Wesley, Sermons, ‘The Lord Our Righteousness’, section 19. …concerning the present scarcity of provisions… Why are thousands of people starving, perishing for want, in every part of England…? Why is breadcorn so dear? Because such immense, quantities of it are continually consumed by distilling. Indeed, an eminent distiller, near London, hearing this, warmly replied: “Nay, my partner and I generally distil but a thousand quarters of corn a week!” Perhaps so. Suppose five-and-twenty distillers, in and near the town, consume each only the same quantity. Here are five-and-twenty thousand quarters a week, that is, above twelve hundred and fifty thousand quarters a year, consumed in and about London! Add the distillers throughout England, and have we not reason to believe that half of the wheat produced in the kingdom is every year consumed, not by so harmless a way as throwing it into the sea; but by converting it into deadly poison—poison that naturally destroys, not only the strength and life, but also the morals of our countrymen! 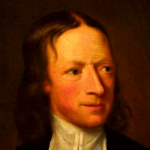 I am, sir, your humble servant, JOHN WESLEY. John Wesley, 9 Dec. 1772, To the Editor of Lloyd’s Evening Post, Thoughts on the Present Scarcity of Provisions. *Dates for Wesley’s sermons may be from earlier editions, not necessarily the same editions cited here. I so much cherish John Wesley’s teachings on alcoholic drinks. But why is it that Methodist people of today are no longer adhering to that godly teaching from the scriptures? Have we not deviated from what makes us (Methodist people) distinctive from those people who drink. Even in many places we now use alcoholic wine for holy Eucharist. Is because we are becoming lapse or we are regretting the teachings which we know are godly and biblically and doctrinally sound? Let the Methodists go back to their roots and show the world the light of the gospel. We should no longer compromise our long cherished godly teachings on alcoholic drinks. Great teaching from a man who distinguished himself in such a way that is yet to be equalled. There is poison in alcoholic beverages. Methodists and non-Methodists alike are to refrain from it.